Kids have the right idea. They eat food off sticks like nobody's business. Cake pops, chocolate covered marshmallows, frozen treats on a stick, but I wonder, hey why not good-for-you-food too and how about us grownups? August is a great time for outdoor eating, poolside snacking, brunches and BBQ's so I thought, why not stick it to all those dishes we make? 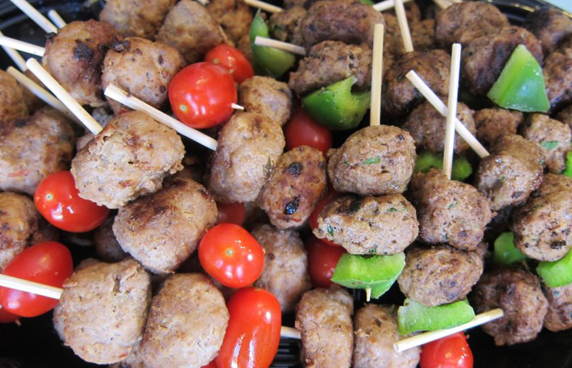 When you skew food everyone can take a taste of delicious bite sized morsels that are gluten and nut free too! 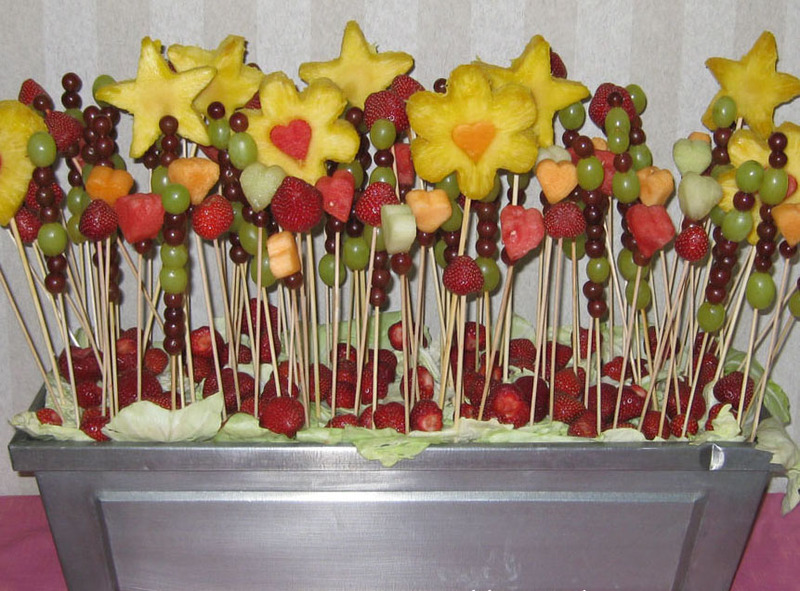 This is where I say "Skew it," let's have some fun and put all the colours of the rainbow on sticks, let's make magnificent mini versions of the food we all love to eat and skew 'em all! 1.Grilled cheese was never so cute: Mini grilled cheese sandwiches cut into your favourite shapes and skewed with a "side" of cucumber or tomato to hold those cuties in place. 2. Eat your breakfast! The fully loaded breakfast kabob: tomato, Japanese egg, raisin French toast, banana, waffle, and strawberries....eat plain, dip into maple syrup or chocolate sauce! 3. Fruit on a stick: the possibilities here are endless. Great centerpiece everyone can feast on! Or simply skew a few pieces and plate them. No kid will refuse this! 4. 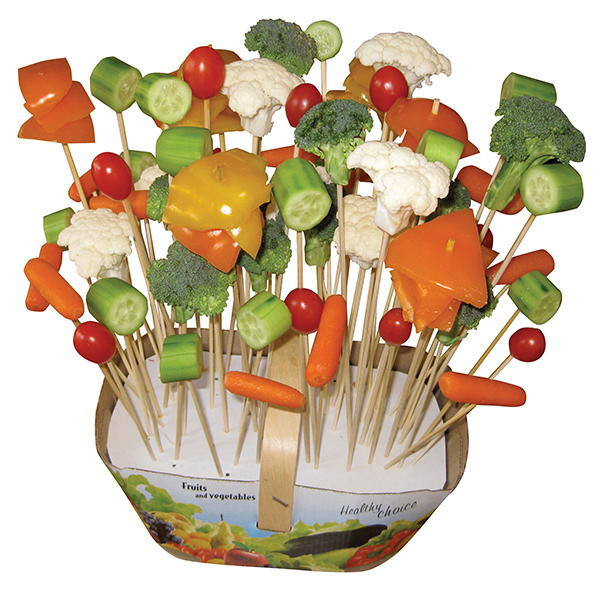 Ditch the veggie platter: This is the perfect party appetizer: It's become a habit of mine to skewer vegetables into a tree instead of plating them. I did this for my son's birthday party years ago and those kids cut down those veggie trees faster than I could plant more. Don't forget to plant some dip nearby! 6. Chicken a la Greque: This is a timeless classic from Greek cuisine which is why it made the list. 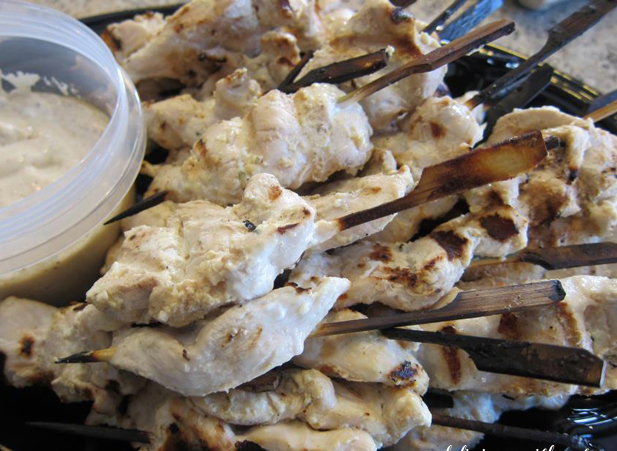 Everyone I know who eats chicken loves a chicken kabob. Use skewers that have a thick handle on them to hold and soak them in water first so that they don't burn during cooking. 7. 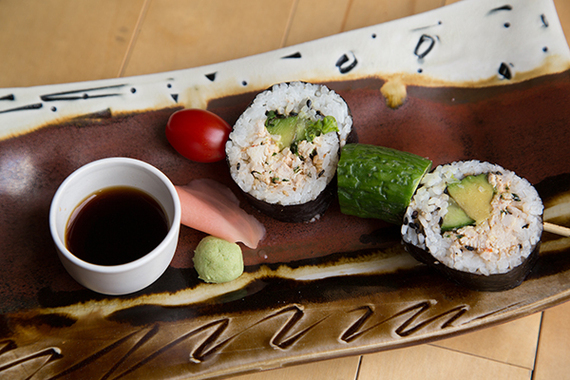 The un-raw nori stick: So many kids love sushi but not so much the raw fish so why not wrap chicken salad and cucumber or smoked salmon and cream cheese into a nori sheet and call it a skew? 9. 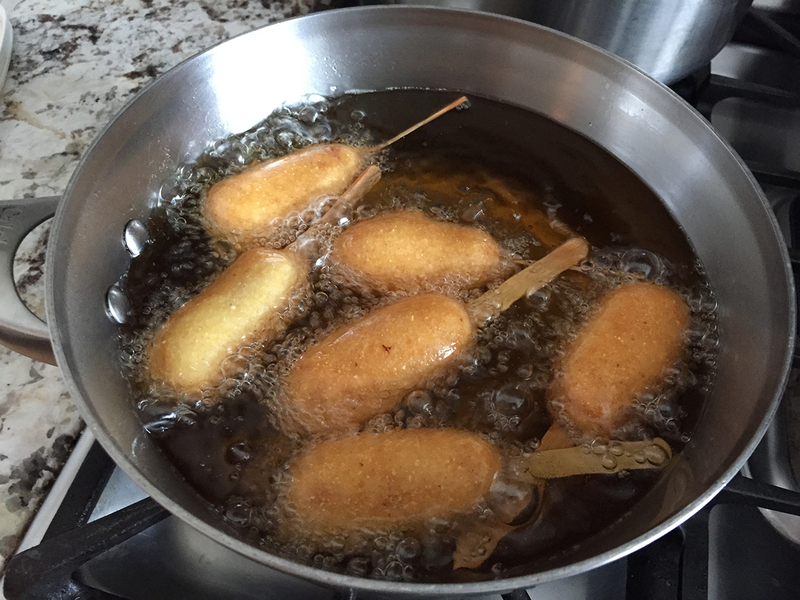 Sail on starfish: Start a new wave with these fish nuggets on a stick. 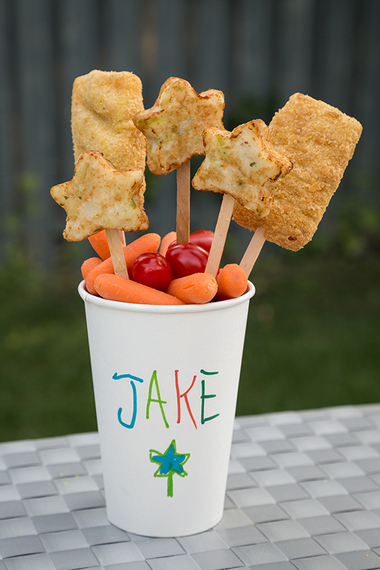 Let the kids decorate their own cup and fill it with veggies. 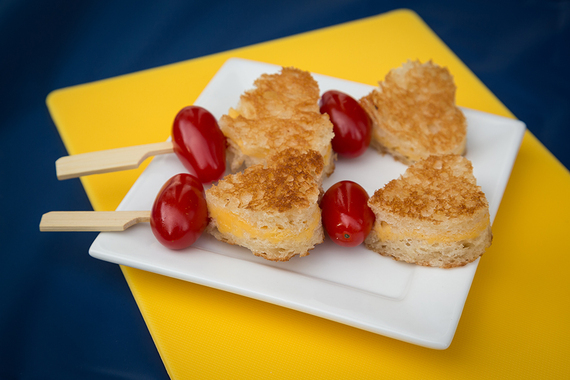 Place some fish nuggets and potato pancakes on popsicle sticks and away they go! 10. 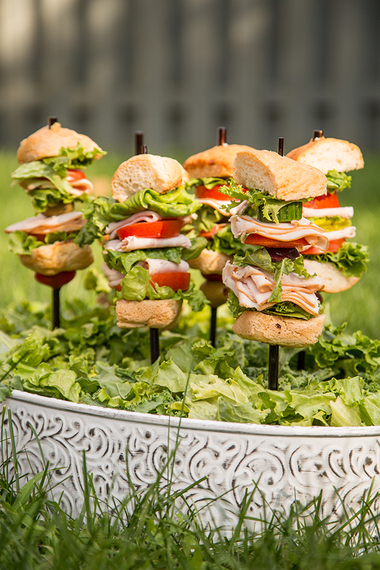 Hey... even a plated club sandwich has a stick in it! Use Japanese chop sticks and build a sandwich of cold cuts, pickles, lettuce and tomato sandwiches on them! Keep them in place with tomatoes or olives on the bottom so they don't slide. Yum. 11. Don't these look fancy? 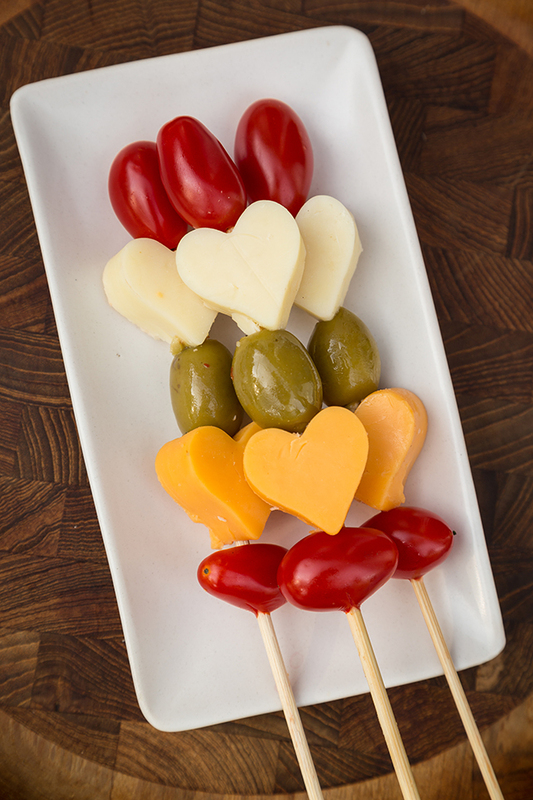 And yet, what could be simpler than cookie cutter cheese in all the shapes you love with tomato and olive? It's all in the presentation! 12. Roll up the crepes to win! 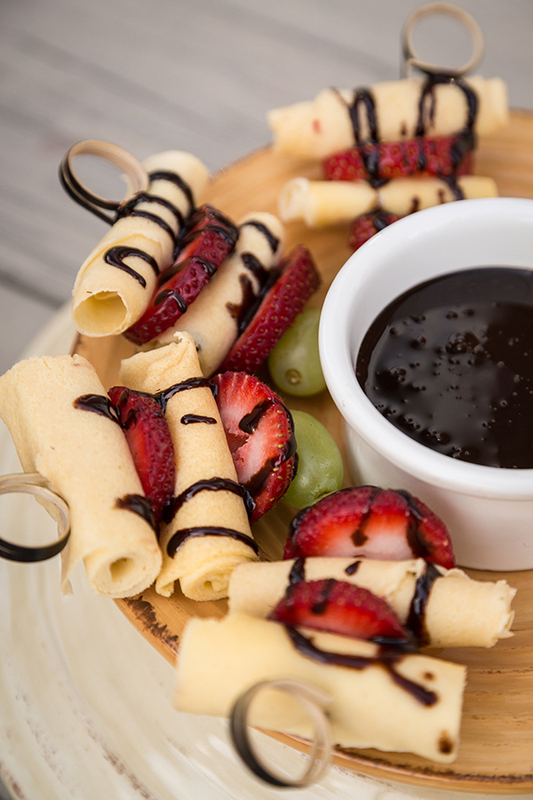 Crepes and fruit with a drizzle of chocolate sauce! Or raspberry coulis, white chocolate, maple syrup, strawberry jam. Or bowl them over with sauce to dip into! See what I mean? 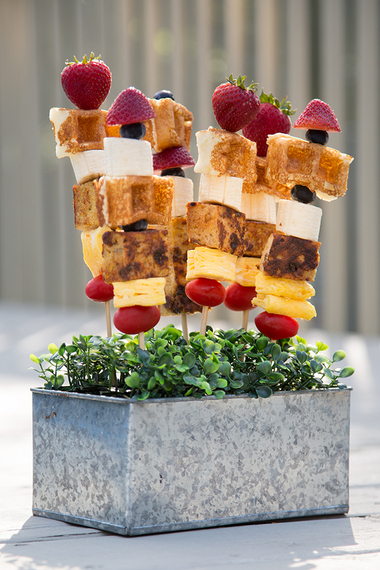 Casual eats served up on sticks that are pretty to look at and appetizing to try. Why eat casual fare with a fork and knife when you can skew it?